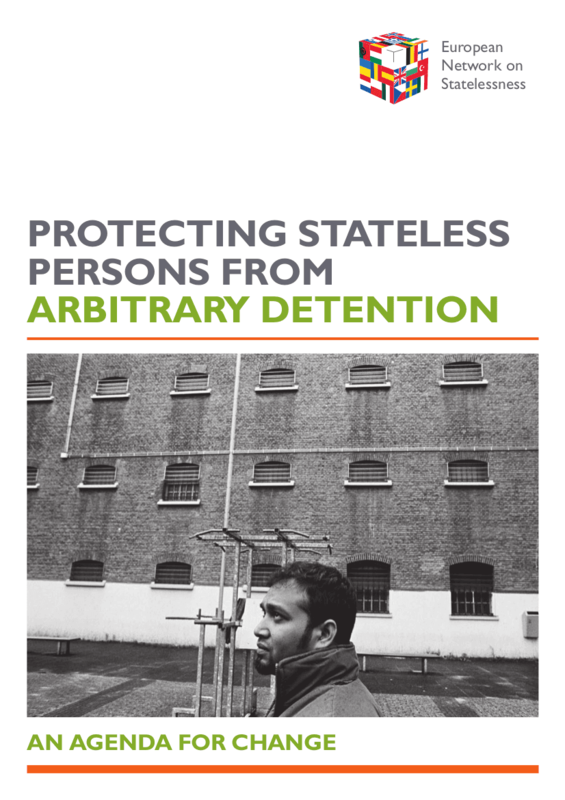 A new report “Protecting Stateless Persons from Arbitrary Detention: An Agenda for Change” warns that stateless people are often detained for months and even years, without any real prospect of their cases being resolved. “Across Europe a failure by states to put in place effective systems to identify stateless people leaves them exposed to repeated and prolonged detention,” said Chris Nash, Director of the European Network on Statelessness. “Detention is expensive, counterproductive and damaging for everyone in the system and there are viable alternatives that work” said Jean Lambert, Member of the European Parliament, asking “what we are doing locking people up with no nationality, with no durable outcome?”. Launched at a two day pan-regional conference, the report calls on European governments to reform their immigration and detention systems to comply with their international human rights obligations and end the arbitrary detention of stateless people. States need to put in place procedures to identify people without nationality so that they don’t end up locked up in limbo. “Alternatives to detention are the first component of ENS’s agenda for change – our message is let’s focus on the alternatives that really work: those that build trust with and support individuals through case management” said Jem Stevens, IDC’s Europe Regional Coordinator. A workshop co-hosted by IDC and Detention Action explored how NGOs can pilot case-management based alternatives to achieve change and reduce detention of stateless and unreturnable persons. Participants heard about Detention Action’s Community Support Project in the UK and a newly formed network of NGOs piloting alternatives in Europe. IDC has co-signed a statement with civil society organisations and leading lawyers and academics from over 30 European countries, which will be sent to governments highlighting that consensus is building in Europe that the current use of immigration detention is unsustainable, harmful, and, in many cases, unlawful.